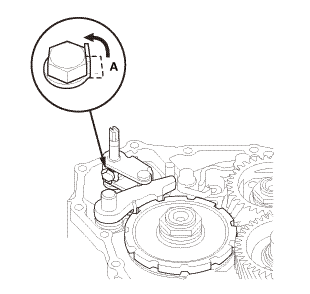 Expand the snap ring using snap ring pliers. 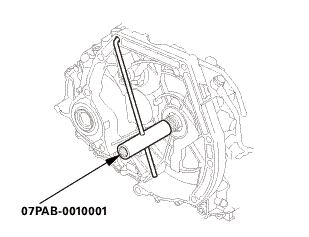 Drive the countershaft bearing out using the driver handle and the 78 x 80 mm bearing driver attachment. 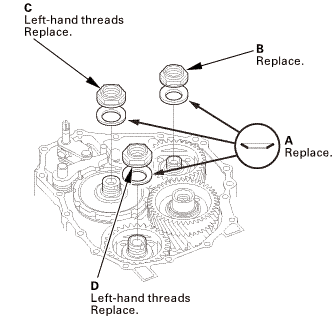 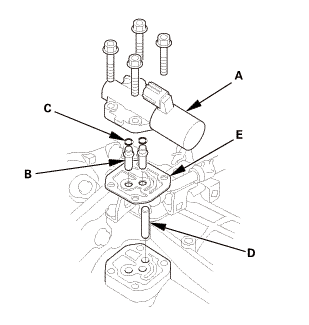 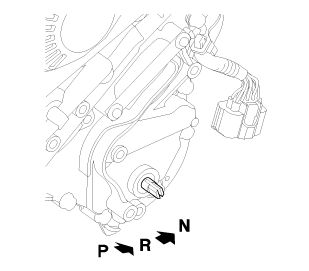 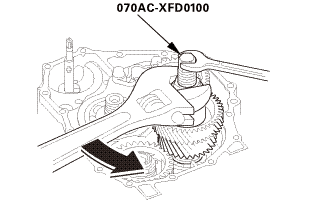 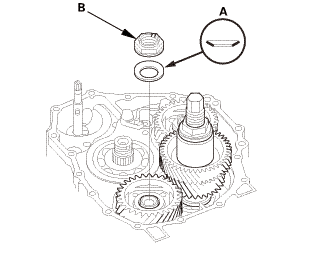 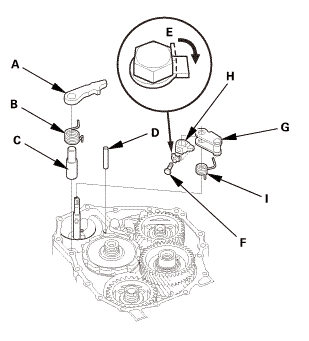 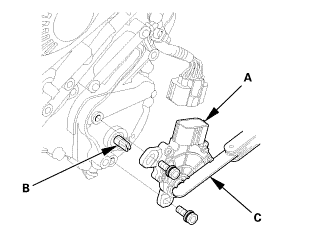 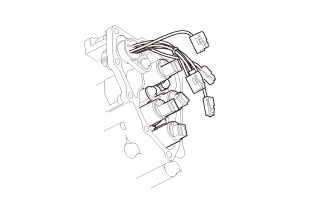 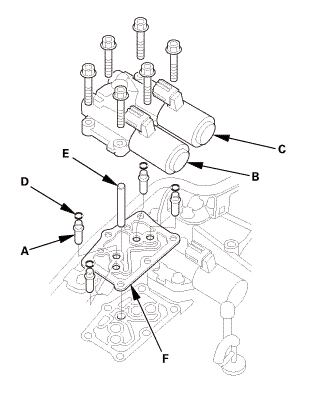 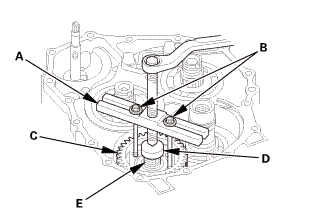 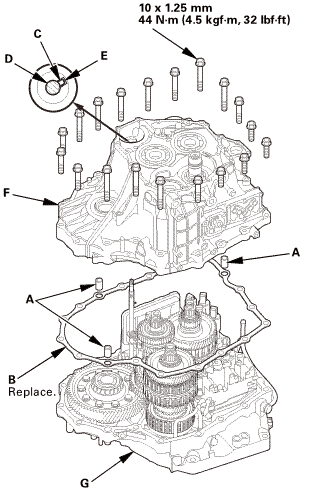 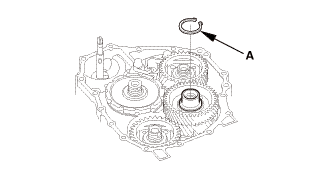 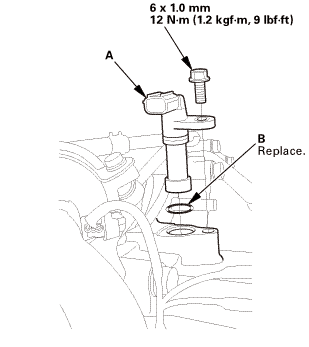 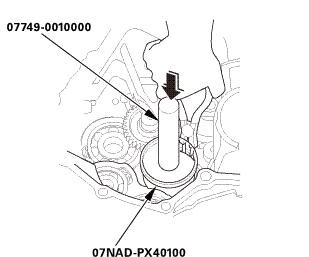 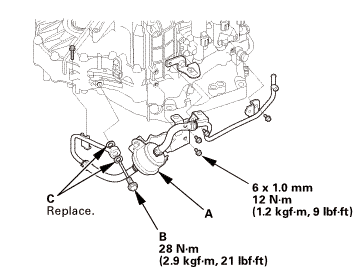 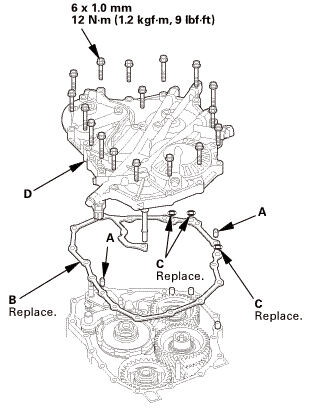 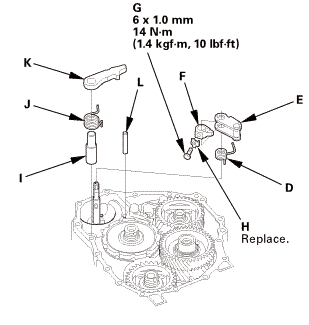 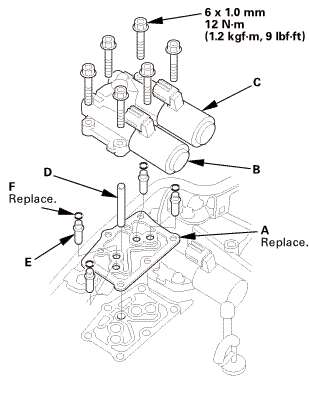 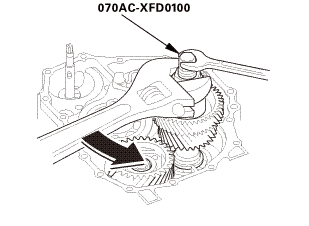 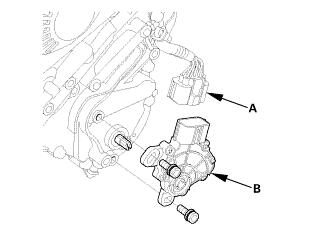 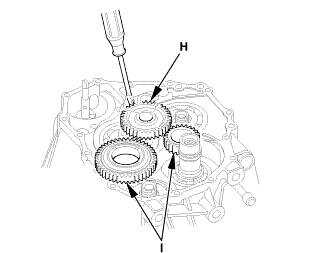 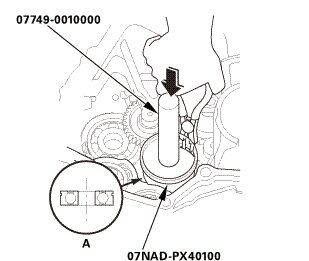 NOTE: Do not remove the snap ring unless it is necessary to clean the groove in the transmission housing. 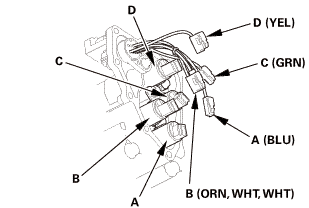 NOTE: Apply a light coat of clean ATF on all moving parts before installation. 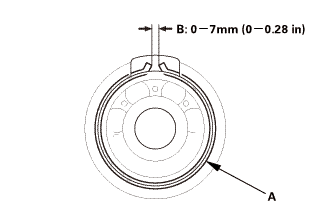 Install the countershaft bearing (A) part-way into the housing using the driver handle and the 78 x 80 mm bearing driver attachment. 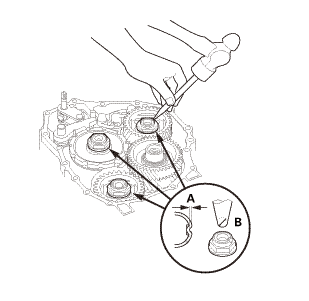 Release the snap ring pliers, then push the bearing down into the transmission housing until the snap ring snaps in place around it. 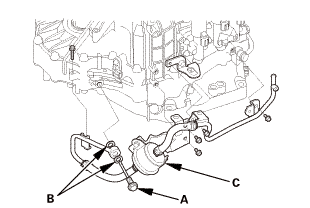 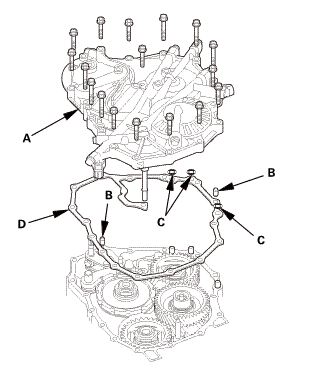 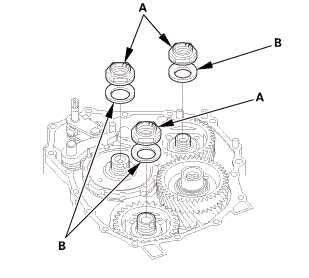 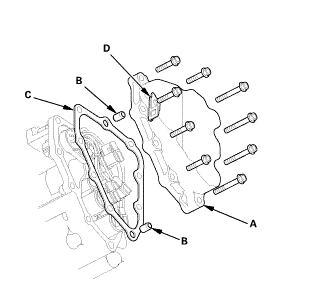 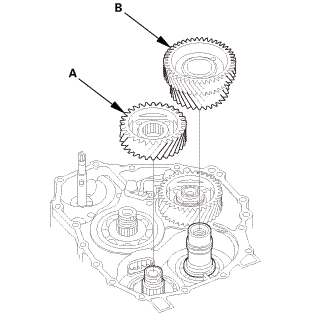 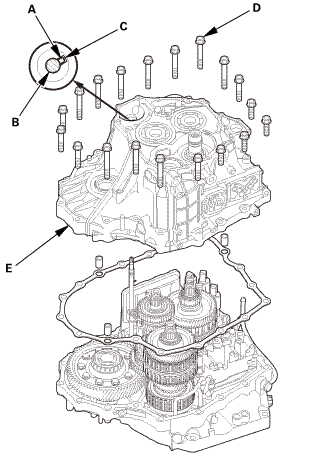 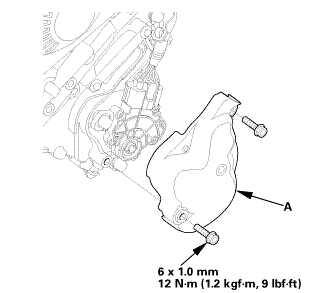 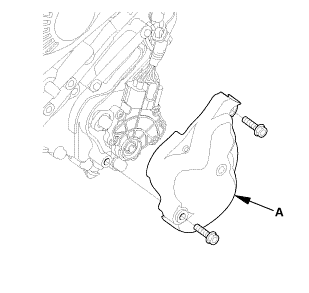 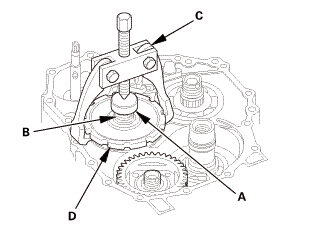 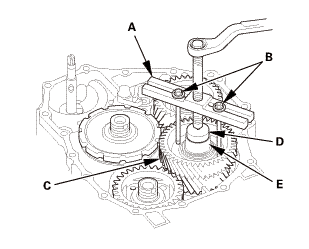 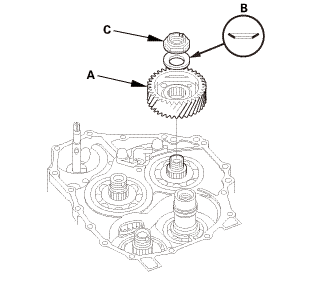 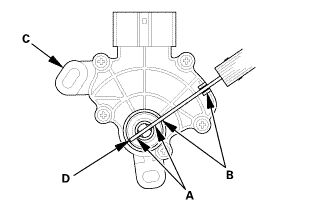 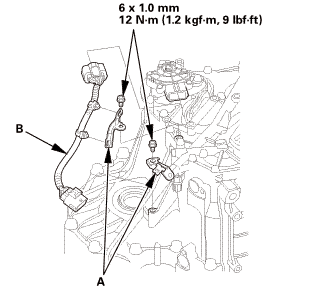 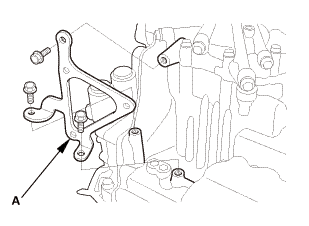 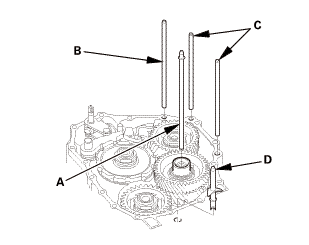 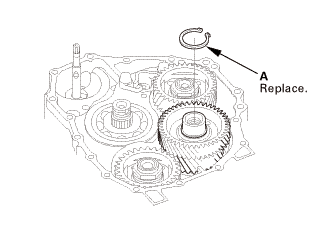 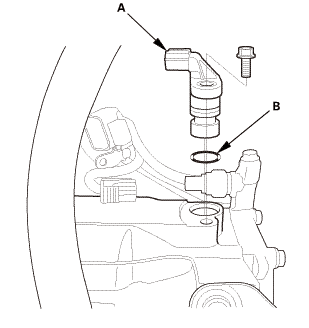 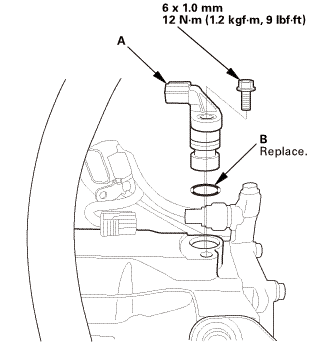 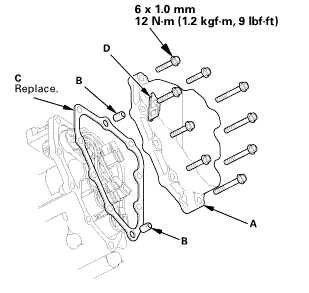 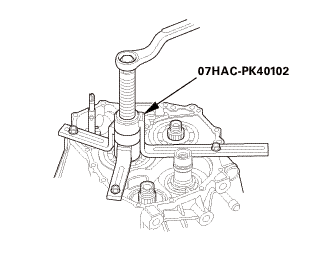 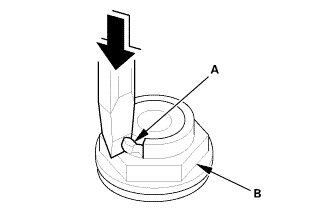 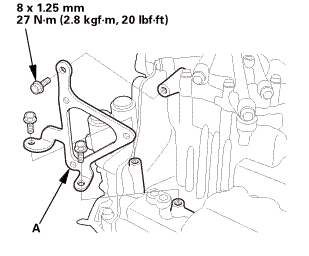 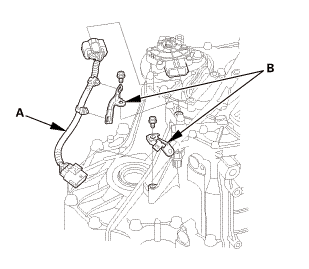 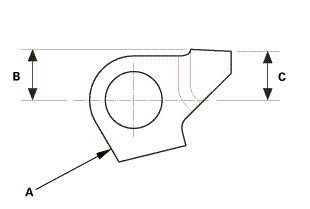 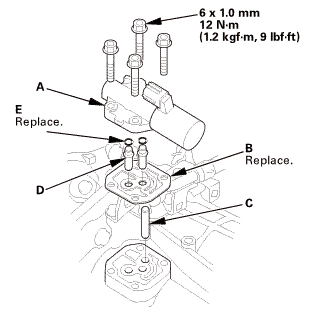 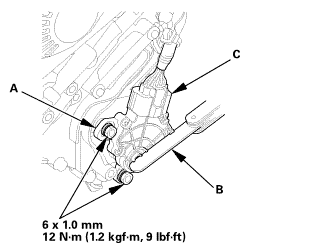 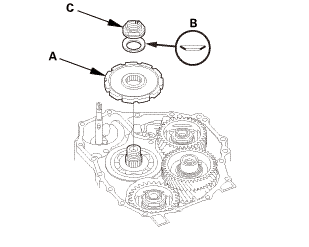 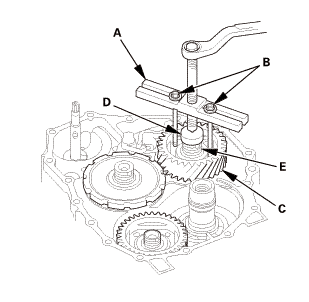 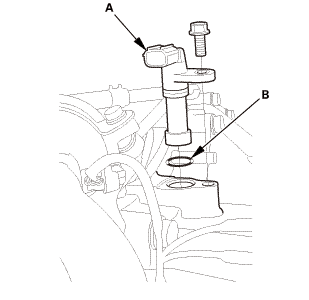 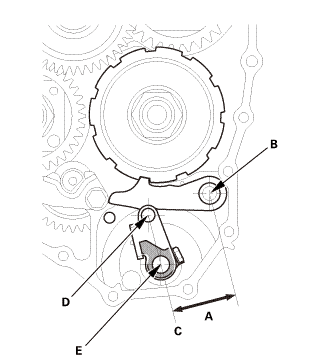 After installing the bearing check that the snap ring (A) is seated in the bearing and the transmission housing groove, and that the snap ring end gap (B) is correct.